1632 And in northern Germany things couldn't get much worse. Famine. Disease. Religous war laying waste the cities. Only the aristocrats remained relatively unscathed; for the peasants, death was a mercy. 2000 Things are going OK in Grantville, West Virginia, and everybody attending the wedding of Mike Stearn's sister (including the entire local chapter of the United Mine Workers of America, which Mike leads) is having a good time. THEN, EVERYTHING CHANGED.... When the dust settles, Mike leads a group of armed miners to find out what happened and finds the road into town is cut, as with a sword. On the other side, a scene out of Hell: a man nailed to a farmhouse door, his wife and daughter attacked by men in steel vests. Faced with this, Mike and his friends don't have to ask who to shoot. 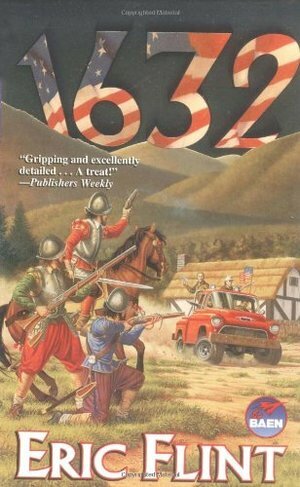 At that moment Freedom and Justice, American style, are introduced to the middle of the Thirty Years' War. Comprehensive Teacher's Guide available.